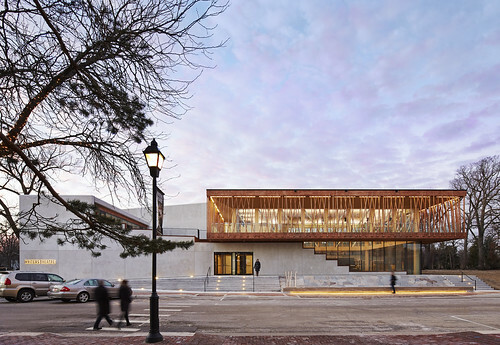 Writers Theatre’s new center has been developed in partnership with the Woman’s Library Club and the Village of Glencoe to build a strong sense of place and community. 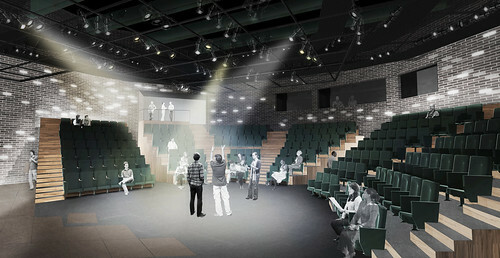 It features two intimate performance spaces under one roof. 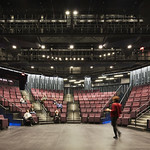 A true “Theatre in a Park,” the new center includes patron access to surrounding parks, outdoor rooftop terraces and landscaped and rooftop gardens. 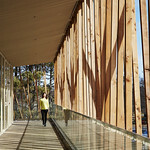 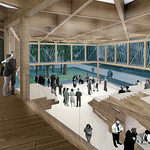 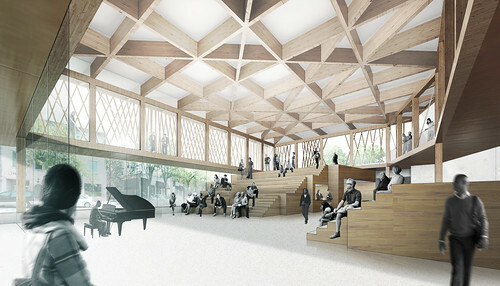 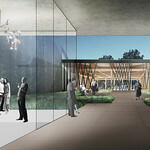 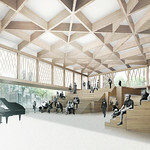 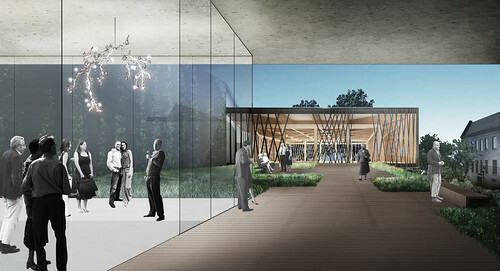 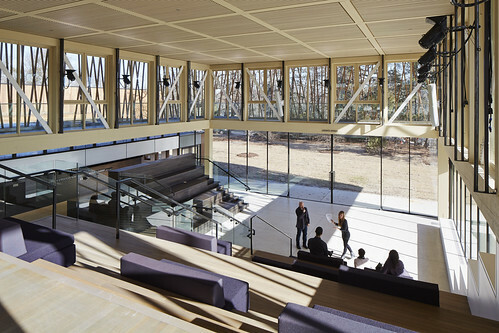 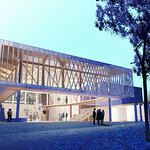 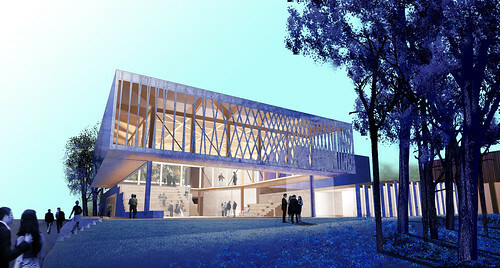 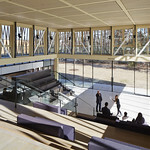 A spacious main atrium with seating tribunes functions as a central gathering area, where patrons and students will enjoy supplementary artistic, family and educational programs. 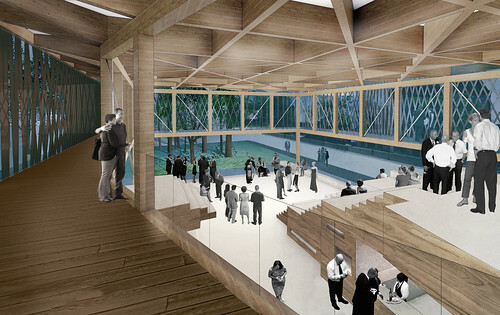 And a luminous grand gallery walk is suspended around the atrium, inviting the entire community to experience the iconic spaces inside. 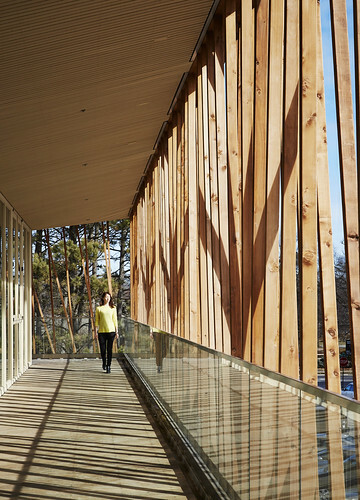 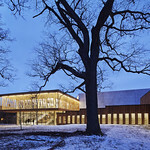 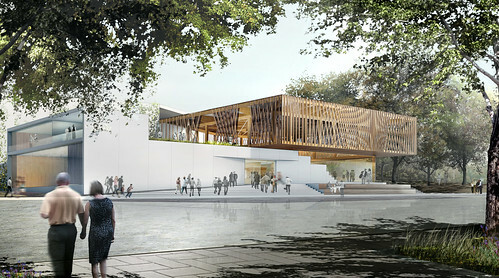 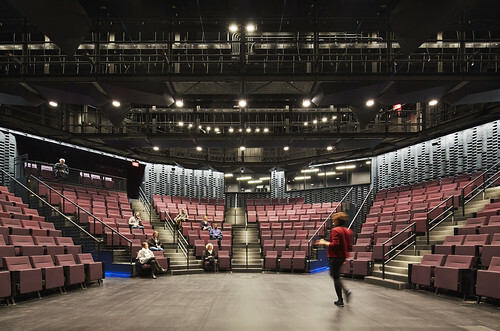 Designed by internationally renowned architect Jeanne Gang, Founder and Design Principal of Studio Gang Architects, the new theatre center is sustainably designed with a focus on renewable materials and is pursuing LEED Gold Certification. 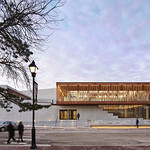 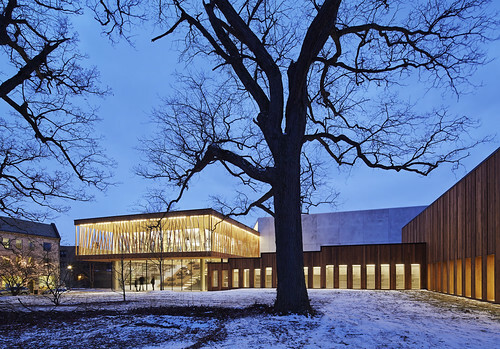 "Writers Theatre’s approach to the word and the artist mirrors Studio Gang’s focus on materials and the environment within architecture, and the results of our partnership have been very exciting. 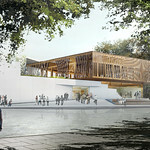 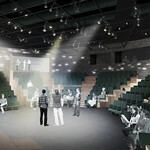 The new theatre center features renewable materials and exciting social spaces that will add to the community's vibrancy."